I can’t figure out the logic behind the choices my three year olds make. 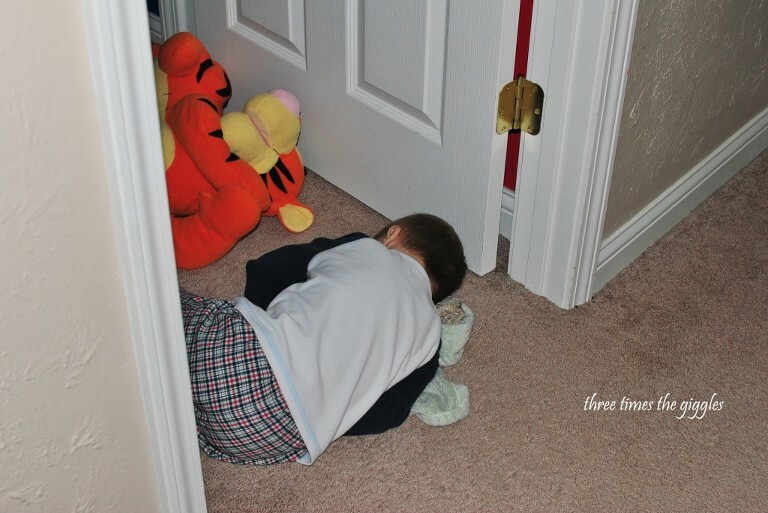 Why is it the Tyler can whine, plead and cry to be tucked in for the millionth time and instead of just getting into bed himself, he would rather sleep here…. And why is it that these children don’t believe us when we say “You need to have your shoes and coat on by _____ time or you’ll go in the car without them”? How many times do they have to ride to school, church or the store without a coat or shoes on before they “get it”? If you’re so cold, put on your coat and shoes! Speaking cold, if you’re so cold when you’re standing in the living room nekkid or just wearing your underwear, perhaps you should stop arguing with us and just put your jammies on already! Tyler was dipping his finger into his left-over ketchup and then licking it. Me: Jackson, do you want to hold your sister? Jackson: No, I just want to watch something on the iPad. If you thank Chase right now for something, he’ll often reply with “No problem at all!”. 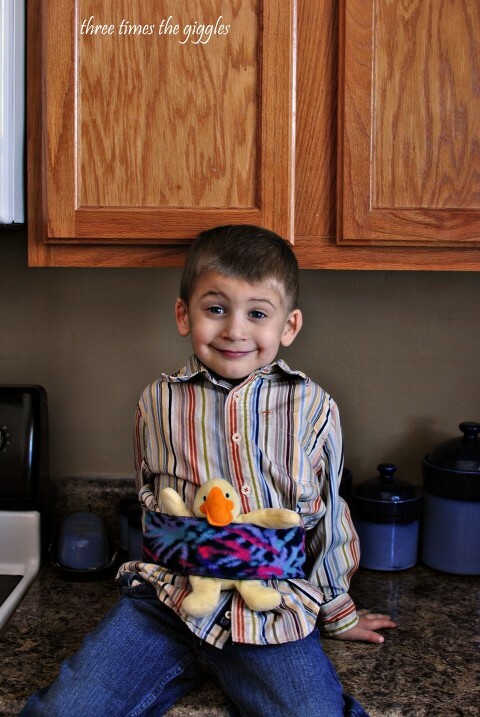 Chase has been watching me carry Lily in my new Moby Wrap and decided he wanted to carry this duck in a “sling” too. He wore this thing almost all day, including on a trip to drop off our recycling! Today is your last chance to enter the Barefoot Books giveaway! Speaking of giveaways, when our Facebook page reaches 200 fans or likers or whatever Facebook is calling them now I’m going to offer another giveaway! Last week I bought a little something that the boys LOVE and want to give it to one of you. We’re only 13 people away!